The Diagnostic Imaging Department is linked to NORrad’s Picture Archiving Communications System which continues to improve the delivery of patient care in all respects. Radiologists provide readings within 24 hours, and in the case of emergencies, results can be provided within 1 to 2 hours – a much faster turnaround time than previous technology allowed! Taking care of in-patients, out-patients as well as emergency cases, Diagnostic Imaging is open from 8:00 am to 4:00 pm, Monday to Friday, with a technologist on-call after regular hours for emergencies. Patients are asked to present to the Admitting Department with their x-ray requisition. If Admitting is closed, patients may then proceed directly to Diagnostic Imaging with their requisition. Patients are asked to present to Reception with their x-ray or ultrasound requisition. 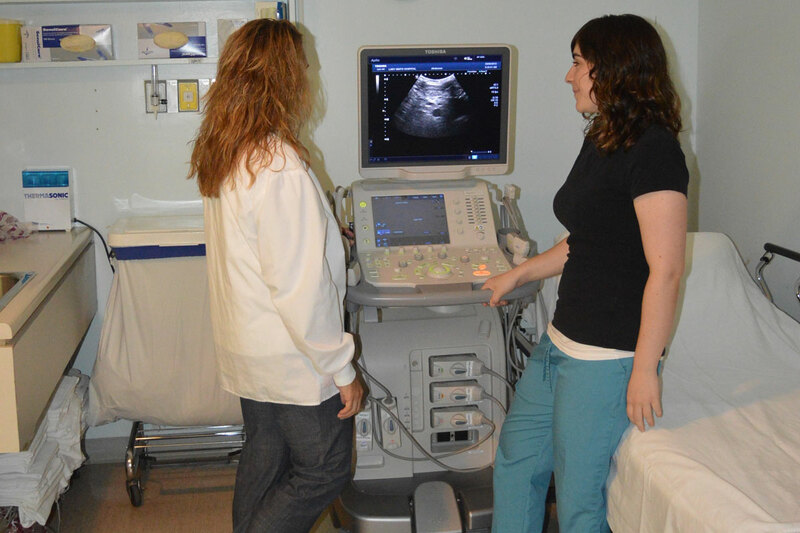 Ultrasound appointments must be scheduled by the patient with the Diagnostic Imaging Department at 705-272-7200 ext. 2324. When you arrive at the Hospital for your ultrasound appointment, you do not need to register with Reception. You may proceed directly to the Diagnostic Imaging Department. Results will be communicated to you via the referring physician. Any inquiries regarding your results must be directed to the referring physician.